Do you need your league or club history researched and written? Do you want to celebrate your club’s history with a unique event? Murray Bird has extensive experience in researching, writing and developing events for sport. Murray Bird’s Athenians and Red Invincibles tells the story of the beginnings of football in the north of Australia in 1866. It was a time when Queenslanders played by the Rules – the Australian Rules. 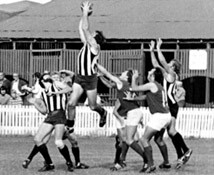 Despite commonly held misconceptions, Australian football has been played in Queensland for a long time. With an historian’s approach and a story-teller’s style, Murray Bird describes how footy started in The North in 1866 and explains how the many personal links with The South kicked it along. His thorough research has uncovered some remarkable nineteenth century characters who, having fallen in love with the local code, were acting on their heartfelt desire to make footy the national game. It’s a terrific yarn, and my favourite type of history, at once informative and entertaining. Athenians and Red Invincibles is a timely contribution to our ‘national’ understanding of the football. Murray’s book provides important details about the administrators, players, and matches in Queensland’s early football development. This meticulously researched account of the origins of Australian football in the sunshine state is compelling reading for those with a thirst for history or simply for those who love our truly unique indigenous game. This ground-breaking book effectively ‘sets the record straight’ in terms of the origins and evolution of football in Queensland. In doing so, not only are those long-forgotton pioneers who established and promulgated the code brought to life, but Murray Bird’s forensic analysis makes a substantial and lasting contribution to broader understandings of the relationship between sport and society in colonial times. I believe Australian Rules football is our greatest contribution to the culture of world sport. It took root in Queensland in 1866, making that state a traditional home of the game. This is a brilliant book by a perceptive thinker. Despite having resided and worked in Queensland since 2003, I have yet to completely distance myself from my passion for Australian Rules. Teaching in Victoria’s oldest all-boys’ school, I quickly learnt that the origins of Australian Rules lay in an inaugural match between the boys from Scotch College and Melbourne Grammar School. 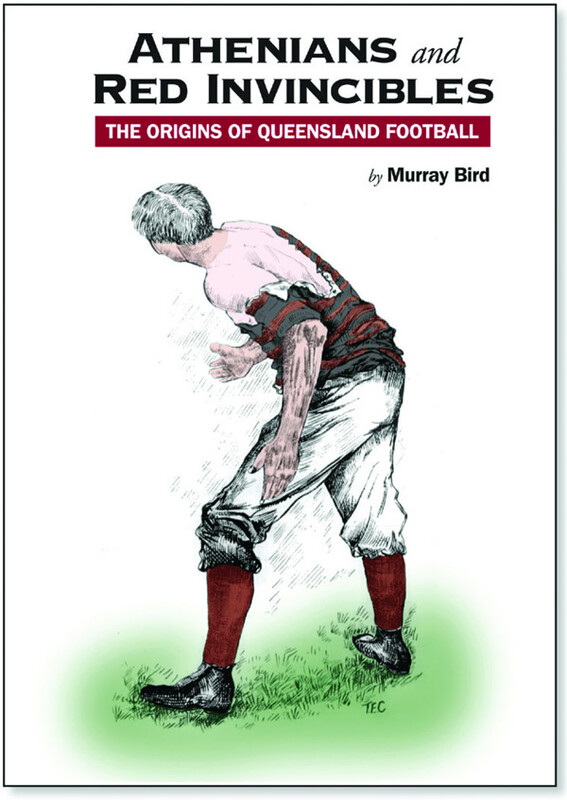 I am now very pleased to see the authorship of Murray Bird focus on the history of “Aussie Rules” in Queensland. Unknown to many, this game was being played at Toowoomba Grammar School as far back as 1877. As a born and bred Queenslander with an association with Australian football over nearly fifty years and not just in Queensland, I find Murray Bird’s work answers key questions about how football, not just Aussie Rules, started off in this part of the country. As such, it’s an important piece from an historical perspective for sport in this State. For those like Murray and I who grew up in the game in Brisbane in our formative years and became absorbed in it, this book reminds us that the real and substantial competition for the footballing hearts and minds of Queenslanders that arose in the early years from the code’s beginnings has continued over the decades since to be a significant, ongoing issue to this day. In 2008 Velocity Sports coordinated the organisation and execution of the Queensland Australian Football Hall of Fame Dinner. The event, which catered for 750 people, was held at the GABBA and Velocity Sports took care of everything, from the invitations, RSVPs, seating plan, the run sheet and the memorabilia for the event. Velocity Sports in conjunction with AFL Queensland conducted the highly sucessful Queensland Australian Football Hall of Fame in October 2008. AFL Queensland appointed Velocity Sports as the event manager and they undertook all of the planning. Velocity undertook planning and pre event preparation including venue hire, food and beverage, audio visual, entertainment, guest lists and invitations, and all the promotions leading into the event. In addition they developed a comprehensive memorabilia catalogue for event and post event sales. The event attracted in excess of 700 guests at a gala black tie function and was regarded by many as the most significant and successful night celebrating Australian football in Queensland ever. There is no question that the success of the event was due to the commitment, attention to detail and professionalism of the Velocity Sports staff. Velocity Sports have demonstrated the capacity to manage large scale events that meet customer and client expectations, delivered to budget and with post event review and analysis. AFL Queensland has no hesitation in recommending Velocity Sports for your next major event or function. Velocity Sports were integral to the organisation of this event. The AFL Queensland Team of the Century dinner, held in 2003 at the Convention Centre, was attended by 800 guests from across Australia. Just a short note to congratulate you on the wonderful AFLQ Team of the Century concept and dinner. It was one of the best I have been to. Seriously, you are to be commended for the enormous amount of time and effort put into a great project, which culminated in a fantastic night. It has been the talk of the town. Research and writing for the celebration of the Southport Australian Football Club’s 50th Anniversary.Visit Site. A student of the game and a true historian, who painstakingly pieced together more than 50 years of records, newspaper clippings, articles and match reports to chronicle the history of the Southport Australian Football Club. Murray Bird’s lasting contribution will serve as a wonderful reference point for followers of one of Australia’s most successful Football Clubs. His passion in uncovering factual detail effectively brought the history of our club to life and provided a broader understanding of its role in supporting the growth of Australian Rules and its service to the Gold Coast community.